Squeeze cash out of your house...Close Fast… You save thousands of dollars in costly repairs and commissions. Guaranteed! Fill out the form to the right - and download our FREE guide right now! 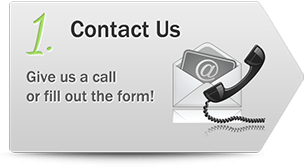 We’ve been helping home owners just like you for over 15 years! Hi, I’m Tommy Young, the founder of Lemon Houses. If you’re looking to sell your home fast for cash in Orlando, Orange County, or any of their surrounding areas then contact Lemon Houses online now. If your property costs too much to maintain, causes you headaches, is in foreclosure, or came to you through probate, we can help! 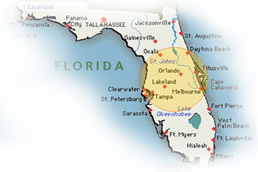 Our team of real estate consultants in Orlando will help you sell your home fast, for cash, in as little as two weeks! As the owner of Lemon Houses, I’ve devised a foolproof cash home buying system: EasyCashSale™ System. It is a simple, step-by-step method I’ve used for more than a decade and a half to help homeowners walk away from their unwanted, costly, and underwater properties with cash in their pockets and no more frustrations! Hundreds of homeowners all over Central Florida have sold their homes to me because it saves them from having to list their property with an agent, wait for buyers (and then wait for buyers to get financing! ), pay costly commissions, and clean up the property. My EasyCashSale™ System is a simple way to avoid all of the expensive, time-consuming, and overwhelming details by selling your house for cash directly to me for my very best offer, guaranteed. You’ll sell your home without the annoyance! Circumvent the long and costly listing process by working directly with me. 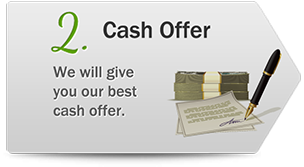 You’ll get our best cash offer. In fact, I guarantee that you’ll get my very best cash offer—right up front without the hassle of haggling. You’ll get cash in your pocket. I buy houses and pay cash—fair and fast. That’s why I have a 15-year track record of helping homeowners (Other sellers LOVE this—you don’t have to deal with the banks or keep your house clean while buyers track through your living room). We’ll take your property in as-is condition. Skip the inspections and the reports. I’ll buy your house as-is. Don’t even clean it up when you leave. Just hand over the keys and walk away with cash in your pocket and a smile on your face. The process is simple and transparent. I’ve fine-tuned my EasyCashSale™ System to ensure that you get the peace of mind you want. We’ll work with a state-licensed third party title company to make sure the process goes smoothly (Don’t worry, I’ll take care of all the details—I’ve fine-tuned this to an art!). The process to sell your home fast for cash in Orlando is simple. We never engage in lengthy negotiations or closing periods. We’ll make you an offer and pay you in cash, allowing you to leave your unwanted property behind you forever. Find out how to sell your house for cash—no obligation or commitment! If you have a property that you don’t want or need anymore, regardless of the condition, I want to make you our best cash offer, guaranteed. 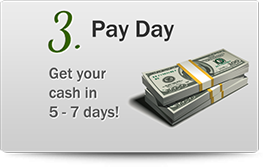 To learn how my team and I use my EasyCashSale™ System to pay cash for houses and offer you the simplest way to walk away from your property simply contact us or call 407-227-1014. There is no obligation or commitment, no high-pressure sales tactics, and absolutely no cost to you. Do you own a house or property that you no longer want? Have you found yourself thinking lately, “I wish I could sell my house for cash?” Well, I’m here to tell you that with help from Lemon Houses, you can trade in your house for cash, no matter the condition!If you’re tired of being burdened by your unwanted property, we want to give you the best cash offer possible, guaranteed. Don’t waste time and money dealing with a real estate agent or waiting for a buyer. Instead, skip the fees, commissions, and crowds of people walking through your house. Let Lemon Houses buy your Orlando home for cash today!Interested in receiving a great cash offer for your property? Contact Lemon Houses now at 407-227-1014!We understand that there are property owners who need to get ride of their houses quickly. We won’t trap you into lengthy negotiations or stall your payday with a unnecessary closing period. We’ll come take a look at your property, make you the best possible offer, and pay in you cash. It’s that simple! If you want out of a property that is costing you time and money, don’t wait any longer! At Lemon Houses, we invest in unwanted properties, allowing homeowners to be free of the burden without having to deal with the stress of selling their home through a realtor. It doesn’t matter why you’re selling or what your home looks like. We buy houses in Orlando for the best possible cash offer, guaranteed!To learn more about selling your Orlando home for cash, contact Lemon Houses now. We want to buy your property for cash today! PS Here’s my promise to you: You won’t find an easier way to sell your home, and I will deliver our very best cash offer to you. © 2019 Young Investment Properties, LLC. All Rights Reserved.